PMC Industries is a 55,000 square foot manufacturing facility in Plainville, CT that produces high quality machined parts, injection molded high volume production, molding and bonding of thermo plastic, teflon and rubber. 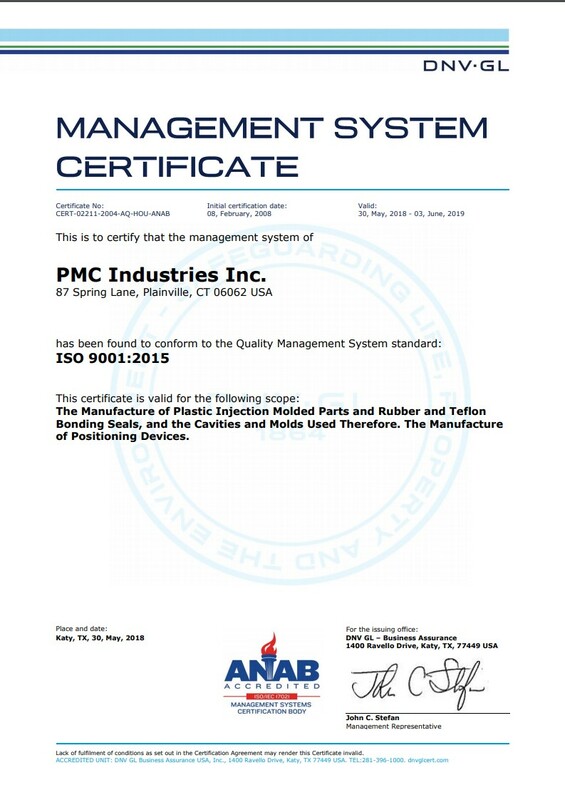 PMC Industries, Inc. aims to insure that that the manufacture of its molded and metal products are of the highest quality. We intend to meet or exceed our customer’s expectations. We have partnered with companies in the aerospace, medical, automotive, solar, robotic and construction industries. Our components can be found in products manufactured by the following companies. Have a question for our production team? The AceClamp® family of roof mounting innovations gives you stronger, more flexible mounting options – without damaging roof surfaces and risking roof warranties.